I was first introduced to the idea of fair trade while volunteering with Engineers Without Borders Canada (EWB). Promoting fair trade products – coffee, teas, chocolate, bananas, and other commodities from the Global South – was a central platform for many EWB chapters across Canada. I even ended up helping with the weekly Fair Trade Friday events, whereby fair trade coffee and teas were given out for free and we tried to encourage students to adopt fair trade purchasing into their buying. A few years later, the city of Edmonton (like many others across the world) became a Fair Trade City. Fair trade sounded like a brilliant idea. Ensure farmers in developing countries received a minimum cost for their products, helping to bring them out of poverty. The trouble was that when I began to educate myself there was very few books or news articles providing a balance assessment, let alone critiquing the idea. Books like The Fair Trade Revolution and others were written and/or directly supported by the regulating organisation Fairtrade International. How can they provide an impartial look. But then I found Unfair Trade. 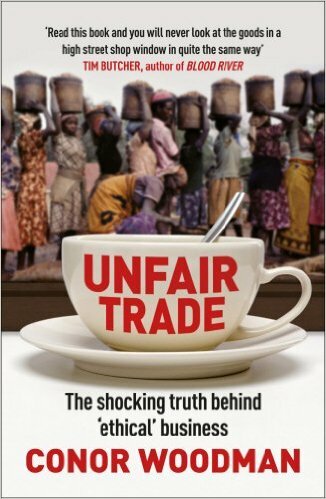 In the book Unfair Trade, published in 2012, Conor Woodman discusses various elements of the global economy, including lobster divers in Nicaragua, rubber farmers in Laos, and cotton growers in Cote d’Ivoire. But the chapters that intrigued me the most were about fair trade – specifically, what Fairtrade International does and says. Woodman’s book doesn’t provide all of the answers to improving the supply chain of items that travel from the Global South to consumers in the Global North. Instead, it details the micro- and macro-economic influences that affect the daily decisions of those struggling to earn a decent living. It also asks a number of questions that each of us should reflect upon as we shop for groceries or eat at restaurants. I explore some of these questions, specifically around Fairtrade (capital F, as in Fairtrade International) below. Does Fairtrade lead to higher incomes for farmers? Take Cadbury’s Dairy Milk bars as an example. Cadbury sells over 300 million Fairtrade-certified Dairy Milk chocolate bars in the UK every year. These sit on the shelves of over 30,000 shops throughout the UK. During the launch event of this product, Cadbury stated that it will honor the Fairtrade minimum price of $1,600 per tonne of cocoa, pay an additional “Social Premiums” of $150 per tonne on top of that and contribute to the costs in Ghana of farmers obtaining Fairtrade certification. However, according to the International Cocoa Organisation, the daily price of cocoa on 20 July 2009 (the day of the launch) was $2,939 per tonne. So, unless the international commodity price of cocoa drop by half, the Fairtrade price guarantee doesn’t come into effect. At least Cadbury is covering the costs of their cooperatives, so it’s not costing Ghanaian farmers. An interesting side story is that Cadbury runs a charitable project called the Cadbury Cocoa Partnership, which has donated £45 million over ten years to cocoa-growing communities in Ghana, India and Indonesia to invest in community projects. Further back in history, the Cadbury brothers switched production to Ghana 100 years ago as a protest against slavery. When they could not obtain assurances from their suppliers in Cote d’Ivoire that their cocoa was being farmed without the use of slaves, they shifted production to neighbouring slavery-free Ghana and they’ve been there ever since. 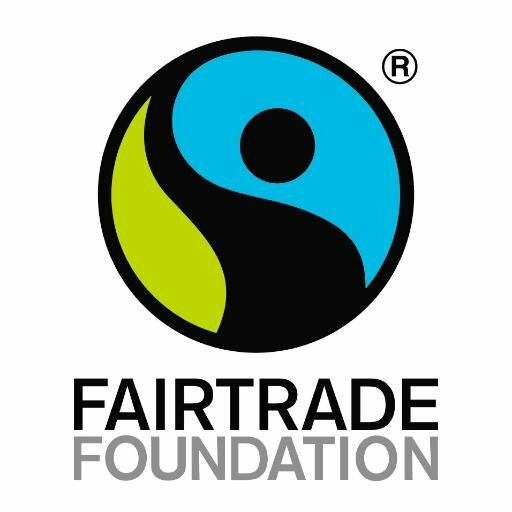 Woodman also found that Fairtrade Foundation was using outdated information on its website, which may affect customers’ decision making. While Fairtrade Foundation, in 2010, was saying that the price of coffee had been struggling at an all-time low since 2000, international coffee prices were actually steadily rising from $1.31 per kilo of arabica beans in 2002, to $3.38 per kilo in January 2010, to $5.73 per kilo by 2011. “With the exception of the three months during the global financial crisis in late 2008 following the collapse of Lehman Brothers, when all commodities took a brief dip, this minimum price hasn’t been necessary for nearly five years” (pg. 56). As with coffee, commodity prices for things like cocoa and sugar and tea are all at historic highs, and the minimum prices set by Fairtrade Foundation are all way below current market prices. Does Fairtrade promote best ecological practices? Woodman spoke with Craig Sames, co-founder of Green and Black’s (now owned by Cadbury, which is in turn owned by corporate food giant Kraft Foods). As someone who was at the forefront of fair trade, Craig raised a concern that as Fairtrade expanded its brand it would inevitably look beyond small cooperative and certify more and more goods sourced from commercial plantations. As Craig notes, “All large-scale plantations are energy and carbon wasteful and inefficient in terms of productivity” (pg.51). A Fairtrade representative, when asked about these concerns, argued that the Fairtrade Foundation is more interested in helping marginalized producers, not the organic dimensions to ethical trade. Working with plantations was the only way to ensure Fairtrade’s expansion. It enabled them to guarantee reliable, year-round volumes. Why, then, does a company become Fairtrade? Few customers will have heard about the Cadbury Cocoa Partnership, but everyone who buys a Dairy Milk bar will see that familiar green-and-blue logo. The move to Fairtrade is an investment just like marketing or advertising, notes Woodman. It’s an especially good one if it costs the company little other than a promise. Here’s a thought. Do companies take the risk of trying to sell an ethical product that they think customers may want? Or do consumers request more ethical products and companies follow suit? This is the eternal question of what drives markets: sellers or buyers, supply or demand. I’m no economist but I tend to belief the latter, that customers are the driving force. “On the one hand, we have consumers who want to do the right thing, but who don’t have the time or inclination to find out what that right thing might be, and who assume that big business will take responsibility for that. On the other hand, we have companies knowing that ethical sells and queuing up to put the ‘right’ logo on their products. And we have the organisations behind these logos queuing up to build their ‘brand’, much as any ordinary company would do” (pg. 43). The problem with fair trade is not the companies that use the logo. It’s the organisation behind the logo. They have now become a business onto themselves. Money paid by wholesalers to use the brand represents 90 percent of Fairtrade Foundation UK’s income. Around half of it is absorbed into the administrative costs of running and overseeing the certification process. Woodman rightfully inquires, “So does the other 50 percent go to the farmers?” No. The remainder goes into campaigning and promoting the Fairtrade brand. Fairtrade Foundation spends nearly half of all its income on promoting and advertising its own brand. Fairtrade Foundation now have 4,000 Fairtrade-certified products on the UK shelves at any one time, and work with over 2,000 companies worldwide. Most big brands have at least one of the products in their range ethically certified and labelled accordingly. With such a ubiquitous label, it is now difficult to differentiate the “good guys” from the others. Big corporations like Cadbury and Nestle signed up during a period when actual prices were much higher than Fairtrade minimums. So, the question that needs to be asked is what happens when commodity prices start to fall and the minimums kick in. Fairtrade Foundation does not require companies to formally agree that they will stick with the initiative. Any company can opt to drop the Fairtrade logo without notice. What good alternatives to Fairtrade are out there? In his book, Woodman profiles the small-scale enterprises Ethical Addictions, which buys and sells 20 different single-origin coffees from parts of Africa, Asia and Latin America.Ethical Addictions’ products do not carry the Fairtrade logo, but surprisingly offer more value to their coffee farmers. One of their coffees is from a small village on the slopes of Mount Kilimanjaro called Orera. The owners of Ethical Additions, Dave and Ian, found that they could offer these Tanzanian coffee farmers $4.00 per kilo (less 86 cents per kilo for milling to improve the quality). The Fairtrade minimum price for coffee in Tanzania is $2.81 per kilo. This is the price that cooperative of coffee-growers registered with Fairtrade Foundation can charge if they sell the coffee with the Fairtrade sticker. But this is not the price that the farmers in Orera were receiving, they got less than half – only $1.38 per kilo, and in some of the other neighbouring villages less than $1.00. In theory, Dave and Ian could put the Fairtrade logo on the packets of Orera coffee since they are buying above the Fairtrade minimum price. However, in order to do that, they would have to pay 2.4 percent of the cost of coffee to Fairtrade Foundation. Since none of that money would go to the farmer, they have decided not to use the Fairtrade logo. Woodman makes a final, important point, which is that consumers may feel that buying Fairtrade-certified goods always offer farmers a better deal. However, this is not always true. The worst thing consumers who purchase “fair trade” products can do is to become complacent, by stopping and thinking the work is done. The question of whether business can play a greater role in development and sustainability. Rather than taking action to change the unjust system, fair trade shopping fits nicely with our desire to keep on consuming. Choosing the “right” chocolate bar or bag of coffee takes away any stress we have that we might be contributing to that unjust system. We as consumers need to speak up more about global injustice and request more from our retailers. We need to better understand the supply chains which we’re at the end of. We need to understand the human and environmental costs of our actions. We need to think carefully about our purchases. A colorful logo is not enough.